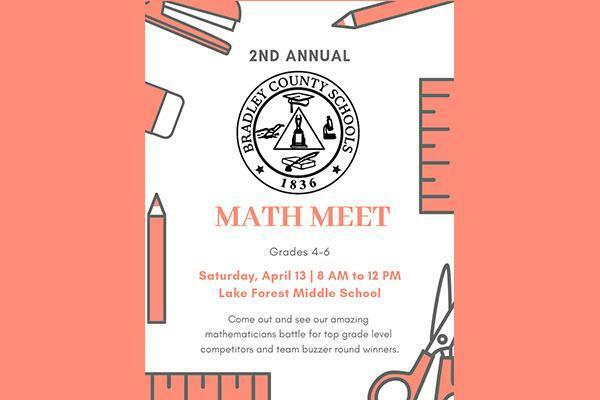 2nd Annual Math Meet - Lake Forest Middle School - Saturday, April 13, 2019 - 8:00 AM - 12:00 PM. The 2nd Annual Math Meet will be held at Lake Forest Middle School - Saturday, April 13, 2019 - 8:00 AM - 12:00 PM. Come out and See our amazing mathematicians battle for top grade level competitors and team buzzer round winners.